Qualification : Master’s degree within the Basic sciences with specialization in Chemistry, Biochemistry, Biotechnology, Microbiology, Marine biology, Engineering, Environmental Sciences, Climate trade. Age Limit : 35 years for men & 40 years for girls. Application Fee : There are no application price. For Project Associate : M.E/ M.Tech/ M.Sc with in-intensity working expertise in picture processing and GIS packages with 2 year enjoy. For Technical Assistant : M.E/ M.Tech/ M.Sc with Experience in water great evaluation. 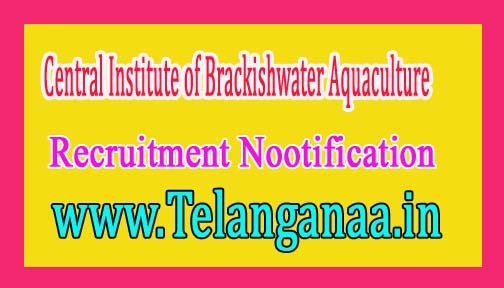 Central Institute of Brackishwater Aquaculture (CIBA) job invites application for the post of 03 Project Associate & Technical Assistant. Apply -before 20 October 2016. For Project Associate :- Candidate Should Have Post graduate in engineering or technology or equivalent/ fisheries science/ aquaculture / life sciences/ soil science/ chemistry/environment science. For Technical Assistant :- Candidate Should have Graduate or above in engineering or technology /fisheries /life science /environment-.